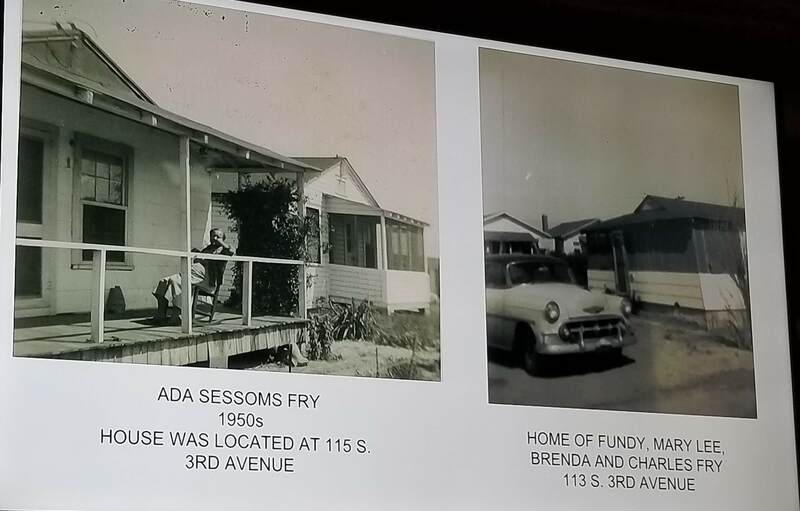 Brenda Fry Coffey, FPHPS Board member, life-long resident of Kure Beach, and author of Kure Beach (Images of America) spoke at the November 19, 2018 meeting of the Federal Point Historic Preservation Society. 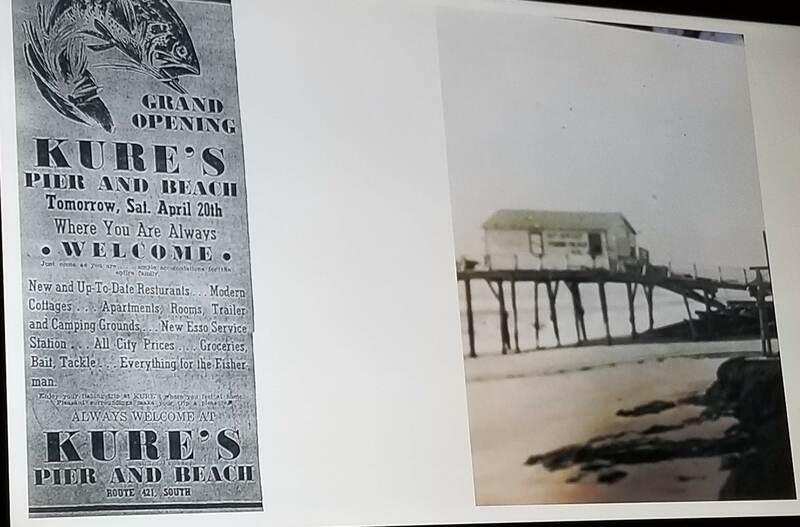 She spoke on the History of Kure Beach: the Family Beach. 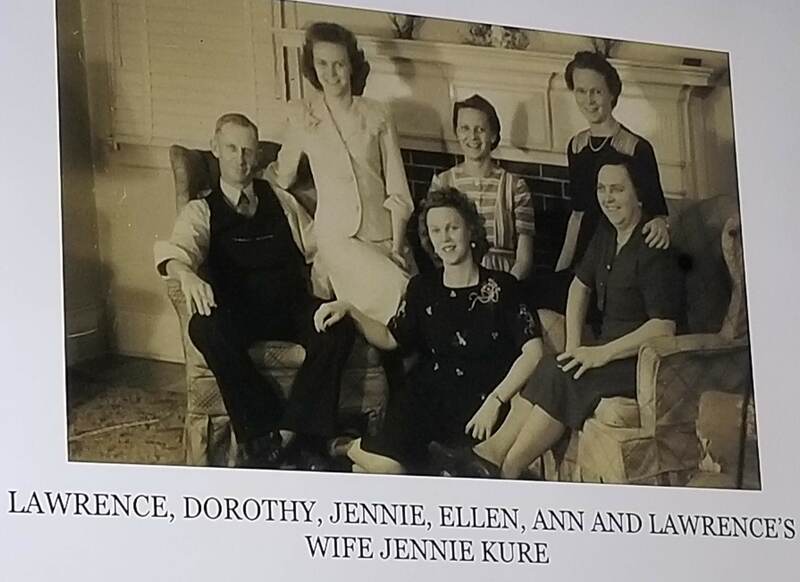 Brenda focused her presentation on the people of Kure Beach, primarily the Kure family and other families who lived in the town during the 1940’s and 1950’s. She talked about the Lewis family: Ed and Gertie Lewis ran a combination gas station, restaurant, and fish market in Kure Beach, and had turtles in a pen that kids could touch. The Walter Winner family lived and fished right on the water at Fort Fisher. Walter was known for having caught the second manta ray ever off the Atlantic Coast. Teddy Roosevelt caught the first. Pictures of Mitsn Saunders, the Glenn Flowers family, the Frys, Heglars, Canoutas, and others were shown during Brenda’s presentation. The buildings in the background of many of these family pictures provide a story of how Kure Beach has changed over the last 75 years. Many of the houses were simple wooden barracks that families bought for $175 each, and placed on lots bought from Lawrence Kure for $200. Walter Winner had wheels on the bottom of his house (on Battle Acre Road near the Fort Fisher monument) so he could move it himself. The Kure Beach post office was not heated or insulated, and certainly not air- conditioned. Mitsn Saunders, the first postmaster, used to bring the stamps home in the summer and steam them apart since the humidity in the building made them stick together. In the 1950’s, the Kure’s house was the largest in town, a brick ranch with 2 bedrooms, a living room, dining room and even a garage. It was demolished in 2017 to make way for something bigger. The site of the Winner house and small store at the corner of Fort Fisher Boulevard and F Avenue is now a massive glass house that’s been featured in Wrightsville Beach Magazine and the Star News. The barracks are mostly gone and replaced with much larger houses. 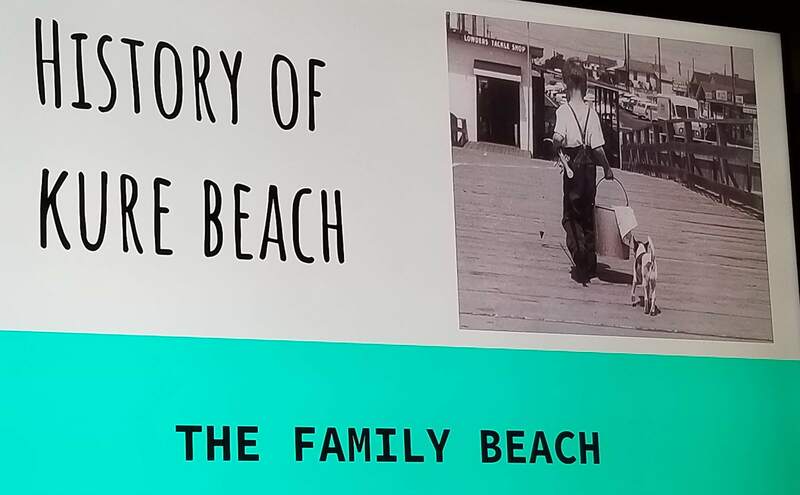 But Kure Beach is still a family beach, and the fish still bite – or not – as they did during the times Brenda shared with us in her presentation.